The renal medulla must have a blood supply to meet its metabolic needs, and this creates a potential problem— capillaries of the medulla could carry away the urea and salt that produce the high osmolarity. The vasa recta that supply the medulla, however, form a countercurrent system of their own that prevents this from happening. Blood flows in opposite directions in adjacent parallel capillaries. These capillaries form a countercurrent exchange system. Blood in the vasa recta exchanges water for salt as it flows downward into the deep medulla—water diffuses out of the capillaries and salt diffuses in. As the blood flows back toward the cortex, the opposite occurs; it exchanges salt for water. Thus, the vasa recta give the salt back and do not subtract from the osmolarity of the medulla. Indeed, they absorb more water on the way out than they unload on the way in; they carry away the water reabsorbed from the urine by the collecting duct and nephron loop. Figure 23.17 The Countercurrent Multiplier of the Nephron Loop. is able to do this because it passes through a salinity gradient in the medulla from 300 mOsm/L near the cortex to 1,200 mOsm/L near the papilla. 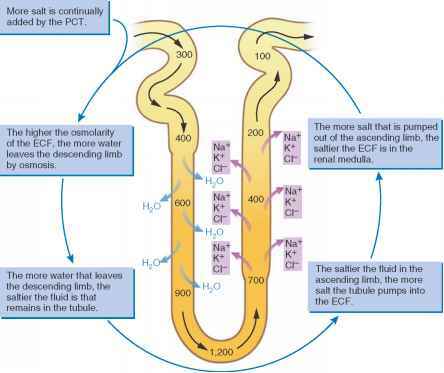 This gradient is produced by a countercurrent multiplier of the nephron loop, which concentrates NaCl in the lower medulla, and by the diffusion of urea from the collecting duct into the medulla. The vasa recta are arranged as a counter-current exchange system that enables them to supply blood to the medulla without subtracting from its salinity gradient. Figure 23.19 summarizes the major solutes reabsorbed and secreted in each part of the renal tubule. Table 23.1 summarizes the hormones that affect renal function. 14. Predict how ADH hypersecretion would affect the sodium concentration of the urine, and explain why. 15. 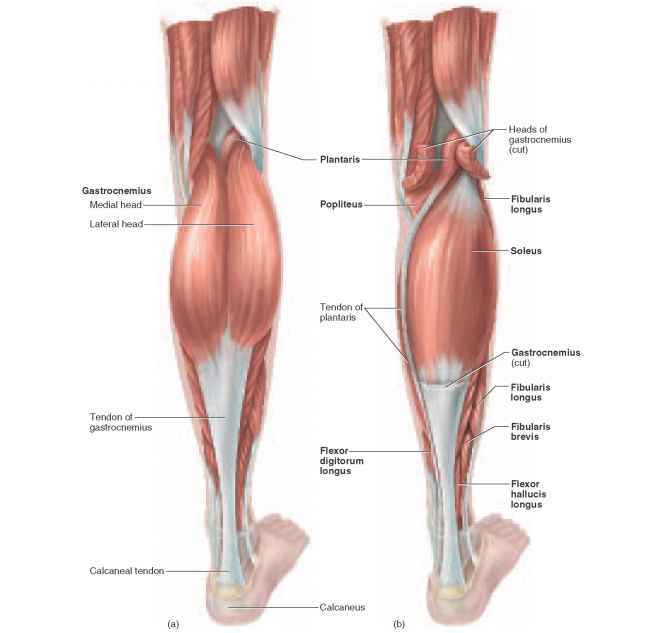 Concisely contrast the role of the countercurrent multiplier with that of the countercurrent exchanger. 16. How would the function of the collecting duct change if the nephron loop did not exist? Is the countercurrent exchange system the same as nepfron loop?